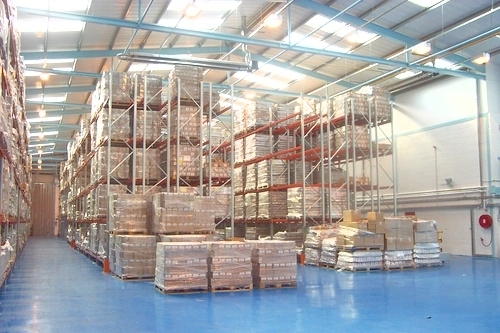 Dexion Double Deep Racking is most suitable for product lines that do not require full access, or where pallets can be stored long term. 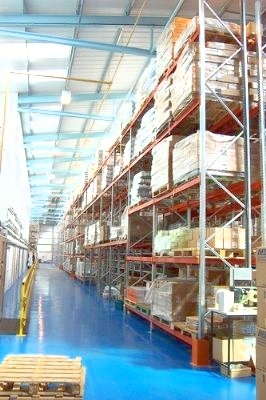 Popular applications include document archive storage. 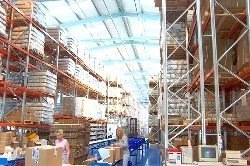 They are an effective application for reducing gangways by up to 50%, by using forklift trucks that have been specially adapted to pick up deposit pallets two-deep. Hampshire Mezzanine Floors can advise on the best Dexion Double Deep racking solution to meet the needs of your business. We will also carry out rack safety surveys and any necessary repairs to existing Double Deep installations. Please contact us for further information and a site survey.